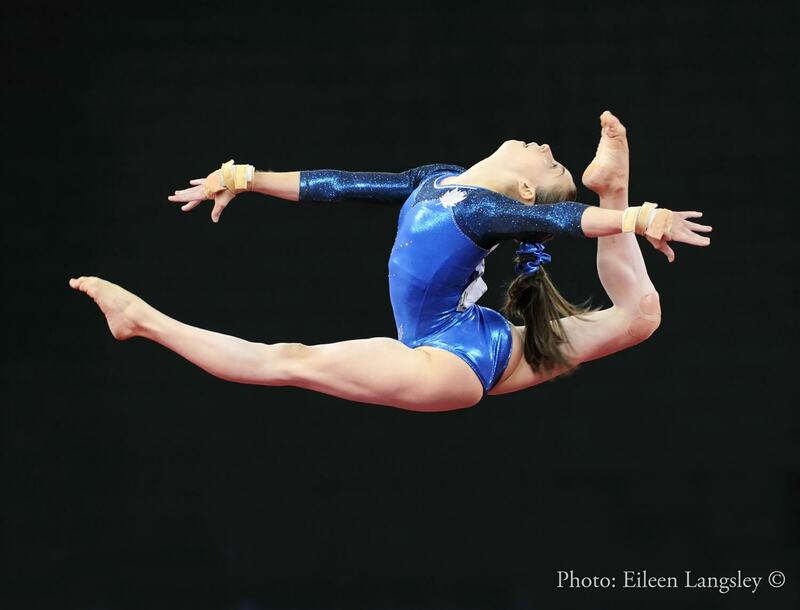 Brandon-born, artistic gymnast Isabela Onyshko broke onto the international scene in 2014, winning medals at World Cup events in Croatia and Qatar. 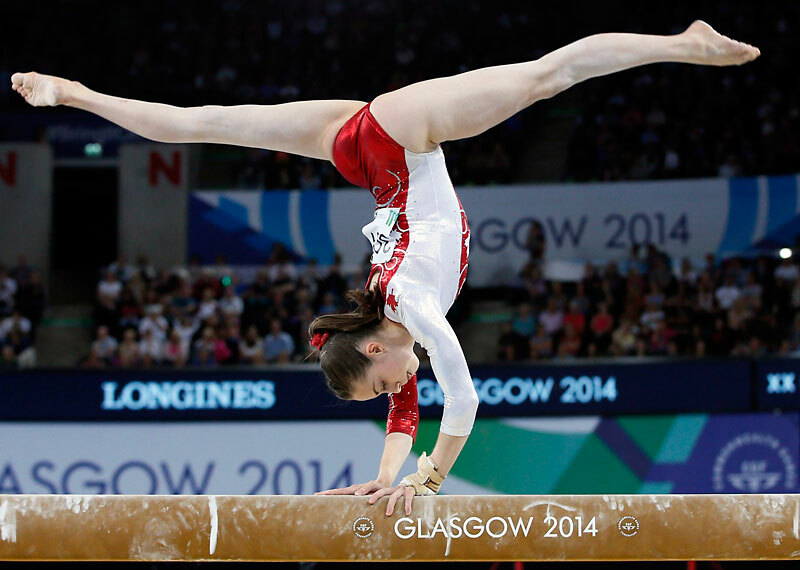 Isabela also represented Canada at the 2014 Commonwealth Games in Glasgow where her team placed fourth and she placed seventh all-around and seventh on the balance beam. 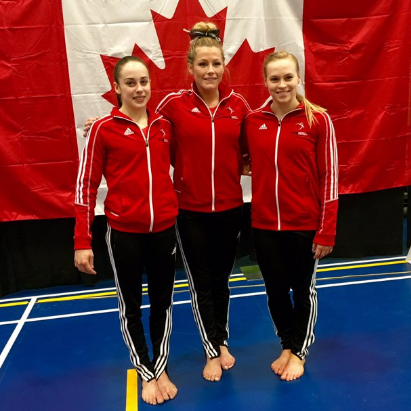 Team Canada also competed at the 2014 World Artistic Gymnastic Championships, where they finished 12th. In 2015, Isabela proved herself an international athlete to be reckoned with. She competed at the Jesolo Trophy and the 2015 Ljubljana World Cup in Slovenia, where she won gold on both bars and beam and silver on floor. 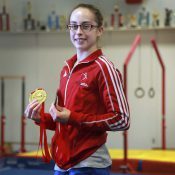 At the 2015 Canadian National Championships, she earned a silver medal in the all-around for the second year in a row. She also captured the gold on floor and bars and took a silver on beam, securing her position on the 2015 Pan Am Games team. Following impressive results at 2015’s World Championships and Pan Am Games, she began 2016 with a gold in the all-around category at the Elite Canada championships, along with taking top spot in senior women’s apparatus finals in uneven bars, beam and floor. With a score of 57.550 points, the 17-year-old Olympic hopeful won gold in the individual all-around at L’International Gymnix competition. She also took silver on floor and bronze on uneven bars, and in team competition, her squad earned a silver medal. 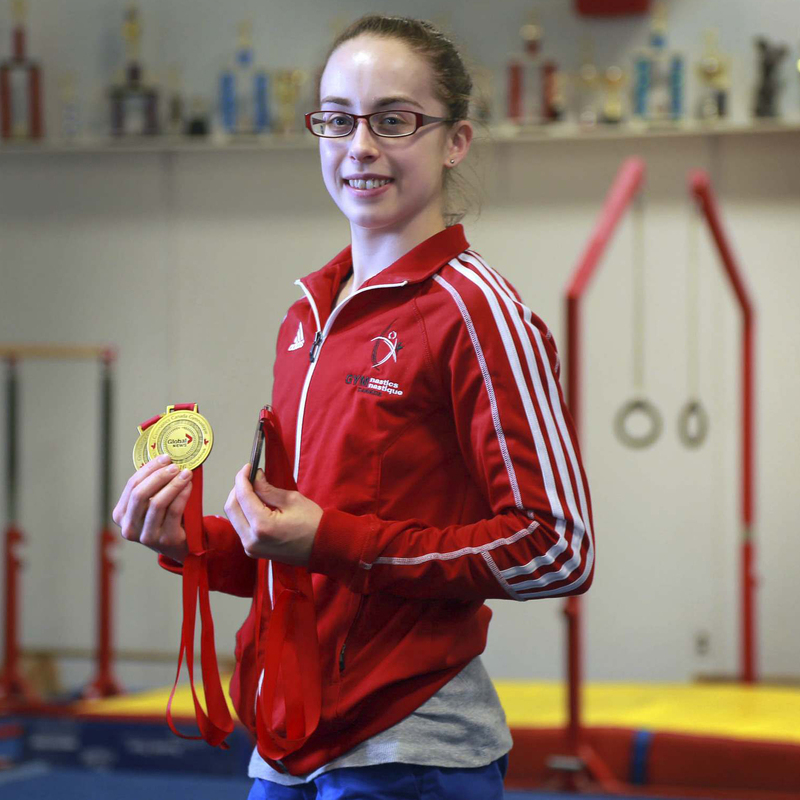 Isabela is making big waves for Canada in the artistic gymnastics category, with some calling her the best gymnast in the country. 18-year-old Bela was named to Team Canada for the 2016 Summer Olympic Games in Brazil, and was the only Canadian gymnast to qualify for both an all-around final and an apparatus final. She finished 18th in the all-around final, and performed her beam routine with confidence but fell partway through, following a difficult element. Bela earned an eighth place finish with a score of 13.400, and is the only Canadian gymnast in history to have made a beam final at an Olympics. Joining Bela in Rio was Brandon Eagles gymnastics coach Lorie Henderson, who was one of the women’s Olympic team coaches. Results: Bela finished eighth in beam final and 18th in individual all-around final. 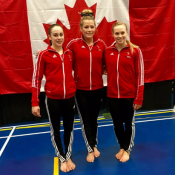 Brandon Eagles gymnast Isabela Onyshko and Ellie Black were named Gymnastics Canada’s 2016 senior athletes of the year on Saturday night in Halifax. 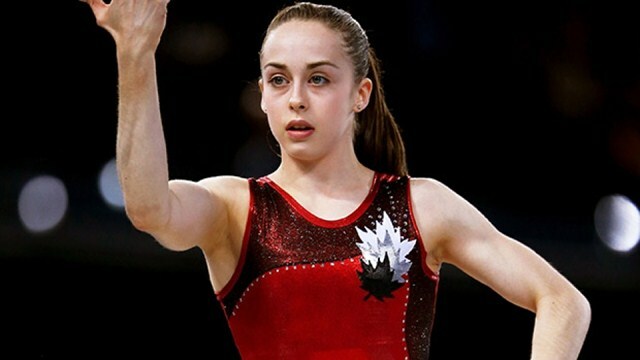 CTV WINNIPEG (Aug 19) The 18-year-old was the only gymnast from Canada who qualified for two finals at the games, the all-around and balance beam. GLOBAL NEWS (Aug 19) The 18-year-old was mobbed by the crowd just moments after landing at Winnipeg’s James Armstrong Richardson International Airport. CBC MANITOBA (Aug 19) Manitoba Olympian Isabela Onyshko came home Friday to a warm welcome from 200 friends and family at Winnipeg’s Richardson International Airport.